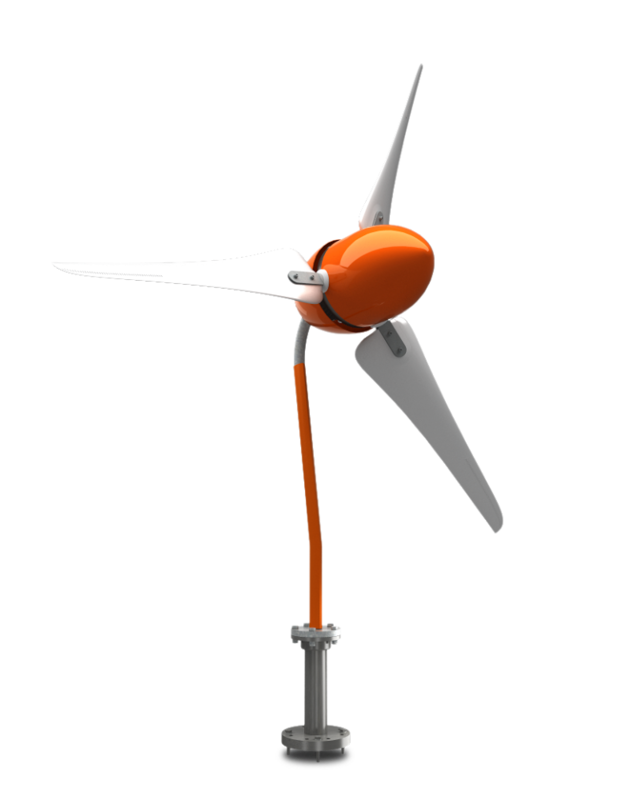 You can be even more powerful with our small and reliable wind turbine. Energize your independence. The Windleaf is completely reliable because of its fail-safe patented blade pitching system: the blades function at an optimal level under all circumstances. Like tree leaves they adjust to any condition and move with ease – in every breeze and in every storm. Like the wind, The Windleaf works day and night, all year long. Wind can be extremely powerful and unpredictable. We know how to deal with it. With cleverness and creativity, we enable people to be energized by wind and profit from nature. The Windleaf is lightweight and easy to install. All you need is a spot on a good wind location. Just plug-and-play, and the energy flows directly into your location’s energy grid. And if you are off-grid (or just love to be more independent), you just connect a battery. The simplicity of the design and the lightweight characteristics make The Windleaf easy moveable. When you move, you take The Windleaf with you. This wind turbine is equipped with such a unique control system, we offer a 10-year warranty. If properly installed, no maintenance is required either. It can withstand all weather types and temperatures, from freezing cold to smoldering heat. The Windleaf does not need heavy components, because of its clever design. Its design makes it stormproof and is also the secret to its high yield at the most common wind speeds (force 2 to 5). Inspired by nature the Windleaf is as silent as its inspirers. Trees don’t make noise. Neither does a flying owl. The Windleaf’s blades work like moving leaves and wings. In addition, The Windleafs on your roof is a clear statement of your care for the planet. It serves as an inspiration for other people, to act and behave more responsible, and work towards a sustainable planet. Whether you are on-grid or off-grid, the Windleaf is the perfect supplier of your own local energy. Ideal for energizing your home, cottage or office building. And did you think about powering street-lighting, or car batteries? Basically, The Windleaf suits every application that needs electricity. It works for you. Where you need it. With The Windleaf, you can be even more powerful. Your investment might qualify for a subsidy. Check your local grant options. The blades are made of extremely strong fiber reinforced thermoplast, and therefore resistant to changing (high) demands. The core contains an advanced patented control system that automatically puts the blades in a safe and optimal position. Designed to quietly do their job, we paid extra attention to the form of the blades’ tip and applied special silencers. Safety first. For in the unlikely event that you would like to put the rotation on hold. Controlling the turbine in achieving the best possible performance. Also, it converts alternating current and/or direct current. Generate your own energy and deliver it back to the power grid, balancing your energy bill or delivering energy to its users. In case there is no power grid around, The Windleaf is able to serve as your own local sustainable energy supply by using a battery. measurements. Results derived from measurement data collected over a year. Energy returns based on performance measurements and Weibull distribution. a reseller of The Windleaf?